These are unusual times. These poets are tale-tellers of their world. Their poems are for real people. is an independent journal committed to showcasing the best of contemporary Chinese poetry. We exist to discover and celebrate poetry and the Chinese poets who write them with the largest possible Anglophone audience. 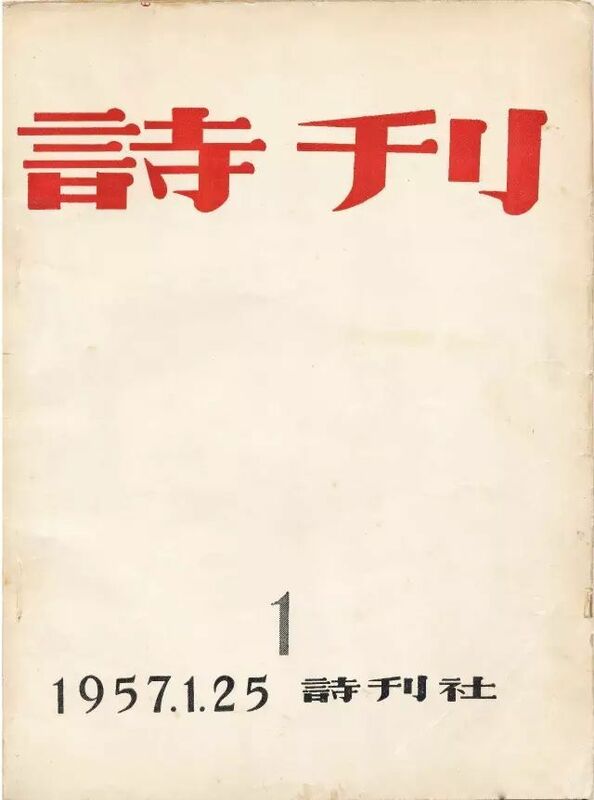 In the early twentieth century, The May Fourth Movement (1917-1921) launched an era where vernacular Chinese was for the first time accepted as a legitimate poetic voice. This was followed by an outpouring of verse written in 'plain speech' by people from all walks of life in contrast to the classical, elitist poetic forms of imperial China. A century has now passed since these 'new' poetic voices emerged. Vernacular poetry has continued to blossom in poetry journals and in cyberspace. The editor and translators at 21st Century Chinese Poetry are committed to translating poets from across China who would otherwise remain virtually unknown to Western audiences. 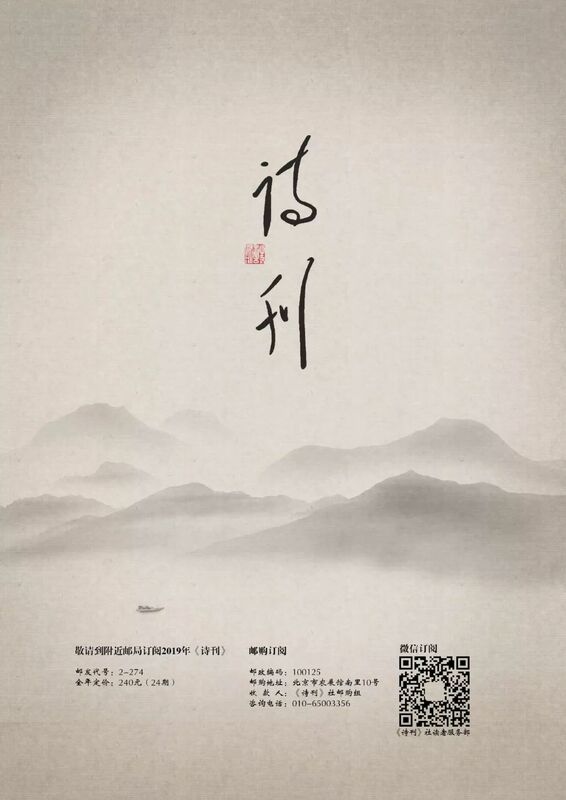 a bi-weekly poetry journal, the oldest and widest-circulated poetry journal in China. Every month editors of Poetry Journal provide us a set of poems from their latest publications for our team to screen and translate. was founded in 1957 with an emphasis not only on the publication of contemporary Chinese poetry, but also the publication of classical poetry by living poets. In addition, it announces poetry gatherings and events across the country, hosts literary criticism forums, and supports poetry translation. The daily operations of the journal are supervised by The Chinese Writers’ Association. Each month Poetry Journal publishes three paperback journals. The first paperback journal is published in the beginning of the month and features poems by established poets. The second paperback is published in the middle of the month and features poems by emerging poets. The third is called The Sage Said, which features poetry in classical forms. The journal also maintains a website that broadcasts all matters related to poetry development in China; it has an audience exceeding half a million visitors daily. Circulating close to sixty years, the journal has been at the forefront of publishing modern Chinese poetry, reflecting many of the sweeping changes that the country has witnessed over that period. The journal has also brought together and introduced a great number of fine poets, published a veritable styles of poems, and contributed to the continuous flowering of Chinese poetry. Poetry is all about Life. Since the publication of our Number 15, we have experienced a lot of it. Meifu moved from the Atlantic to the Pacific; she opened a business near Seattle, and hosted the Silk Road Artists there; she traveled in China, and had discussions with the editors of China’s Poetry Journal（诗刊) regarding translation. Mike Soper, a co-translator, survived cancer and published a few more books. Peter Micic, another co-translator, roamed China in search of folk music and tea. Johan Ramaekers, from Belgium, a song lyricist, has joined Duck Yard Lyricists. We have all been writing and translating poetry. We have stayed in touch with every intention of re-introducing 21st Century Chinese Poetry to the English-speaking world. We call our team “Duck Yard Lyricists”, inspired by Hans Christian Andersen’s fairy tale The Ugly Duckling. We are making efforts that poetry, good poetry, gets passed around, to make sure the fire doesn't go out. Duck Yard Lyricists welcome you to read POEM OF THE DAY. to a fierce army crushing on the city. 10,000 fine threads of raindrops. hanging on a blade of grass. What will not go are the moon and the countless stars. The full moon, as with wings, is adored from a world apart. until it dissolves in the twilight. What will stay is the emerald-green of the mountains. The wind comes; the green mountains embless the wind. China has a rich cultures in both poetry and spirits. A call for outstanding poems in praise of spirits is issued by the 2019 Beijing International Festival of Poetry & Spirits organizing committee, sponsored by Luzhou Laojiao Old Cellar, a distiller in China, with handsome prizes for winning poems home and abroad. 1.4. All entries must be less than 200 lines in total. 1.5. Make sure that your name, bio, email address, citizenship, address, and phone number are given at the end of the text. Once awarded, the poem's copyright, and right of use will be reserved to the BIFOPL Committee, and the author will own the right of authorship. 1.6. The duration of submission is from January 5, 2019 to June 30, 2019. Please send your entry to sjdhzw@163.com. This event shall honor 10 Excellent Entries, with a prize of 5,000 US dollars each (pre-tax bonus, based on the tax system in China). All award-winners will be invited to be present at the awarding ceremony in Luzhou, a city in Sichuan Province in southwest China. Your room and board, and roundtrip air ticket (Economy Class) will be covered by the Organizing Committee.